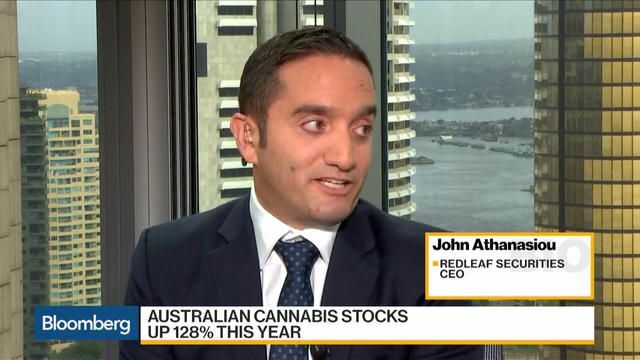 Shares of companies involved in the cannabis space have gained more than 130 percent in Australia stock markets this year – six times higher than their peers in Canada and the U.S., according to a Bloomberg report. The boon comes after the Australian government announced they would begin implementing a medical cannabis importation system and access program. In Australia, cannabis industry operators have an average market capitalization of A$80 million (~USD$61 million) – counting the 136 percent increase this year, according to a Bloomberg index. By comparison, that index shows the global cannabis market returns at about 20 percent. Niv Dagan, an executive director as Peak Asset Management, said he has a fraction of his A$100 million (USD$76 million) fund invested in cannabis stocks. Currently, only Queensland allows medical specialists to prescribe cannabis to patients who do not respond to conventional therapies. Earlier this month the Department of Health’s Office of Drug Control granted its first license to grow and harvest medical cannabis to Victoria-based Cannoperations Pty Ltd. According to the report, The Hydroponics Co. Ltd, an Australian lighting rig and greenhouse manufacturer specializing in cannabis plants, is raising money for its initial public offering next month. The A$8 million share sale is already three times oversubscribed.